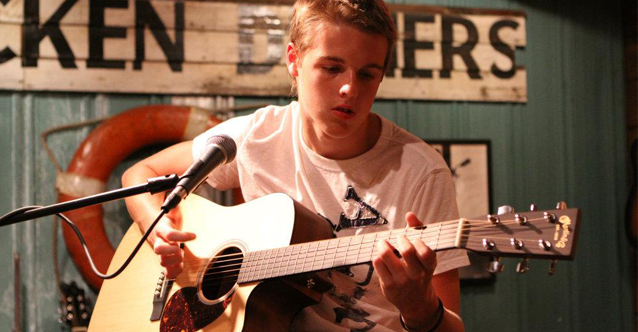 As a solo artist, Jackson Thatcher has performed on stage at B.B. Kings in Memphis during the International Blues Festival, Margaritaville and Douglas Corner during CMA Week in Nashville, downtown Nashville during the Americana Music Festival, and several venues around the greater Nashville area including Tin Roof Nashville, The Factory at Franklin, The Red House, Mellow Mushroom, Franklin Mercantile, and Trevecca Nazarene University. Playing for corporate events, Jackson has performed at the Country Music Hall of Fame in Nashville and the U.S. Space and Rocket Center in Huntsville, Alabama. He is also booking weddings and often gets tapped as side-man guitarist for solo artists. 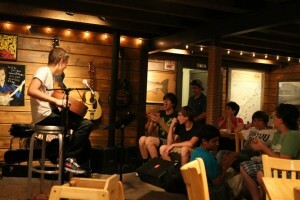 Jackson Thatcher released his first acoustic guitar solo album, The Path, when he was 14 years old at Puckett’s Nashville. At age 16, Jackson was cast as a young Mac Gayden in a documentary about the legendary guitar player and writer of “Everlasting Love.” Later that year, Jackson received an endorsement deal with Epiphone Guitars and appeared in an Epiphone Commercial. Jackson played electric guitar for Cumberland Blue, winner of the Nashville Blues Society competition, representing Nashville at the International Blues Challenge for a showcase on Beale Street in Memphis. Cumberland Blue also played at 3rd & Lindsey, Mercy Lounge on the Billy Block Show, Hard Rock Cafe Nashville and other venues. Jackson got his start teaching guitar at Nolensville Guitar Academy, where he’s began studying guitar when he was ten years old. Jackson also takes on private students. 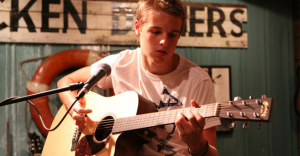 Thatcher’s acoustic guitar influences are Andy McKee, Sungha Jung, and Tommy Emmanuel. On acoustic guitar, Thatcher incorporates the fingerpicking style of Tommy Emmanuel with the percussive style of McKee. His electric guitar influences are Pat Metheny, Joe Satriani and his mentor Mike Bauer. For those interested in booking Jackson Thatcher for public venues, corporate events, weddings, or private parties, contact Jill Thatcher at (615) 776-3232. Find out more about Jackson Thatcher by visiting JacksonThatcher.com; YouTube.com/JacksonThatcher; Facebook.com/JacksonThatcher; and Twitter.com/GuitarThatcher.